Hello Friends and welcome to my journal. As an outgoing optimist I love to share my experiences, love stories, tips & tricks for the engaged and all things with good vibes. So I invite you to sit back, relax and indulge into my journal a bit more. 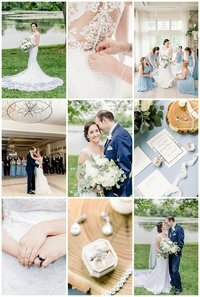 My favorite type of wedding is one that is well decorated and detailed form beginning to end and Lauren & Jon’s lake side wedding was one that made my heart skip a beat or two. The bridesmaids wore a beautiful shade of pale blue and the groomsmen wore a dashing shade of navy blue to compliment. The venue was decorated in fresh greenery, eucalyptus leaves, tall romantic white candles along with white and blush blooms that paired so softly against their rustic wooden accents. Lauren and Jon both started their day getting ready with nerves a bit high and excitements in their hearts as they each prepared to see one another down the aisle in just a matter of hours. As they neared that big moment when they would finally see each other, the music softly began to play and smiles along with tears began to fill the room. Neither of them could hold back their glee as they stood hand in hand at the alter. Their loved ones gazed in awe at the beautiful beginning of Mr. & Mr. Bologra. Today marked a day where a lifetime of love and friendship are finally united. Lauren + Jon held each other close from this moments on throughout the day. They shared little giggles and made funny faces as all eyes were on them. The remainder of the day was celebrated dancing and laughing with over 120 family and friends. It truly was an evening to remember forever. Congratulations and cheers to the new Mr. & Mrs. Bologra. We wish you all the joy and happiness a lifetime could hold! 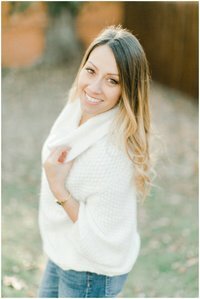 Want to see more weddings? tap here to view more posts like this.